Convert EDB to PST Tool helps to Convert EDB files to Outlook PST Files without losing any items of the EDB files. The Software can convert any size of EDB file the size doesn’t matters for the tool. 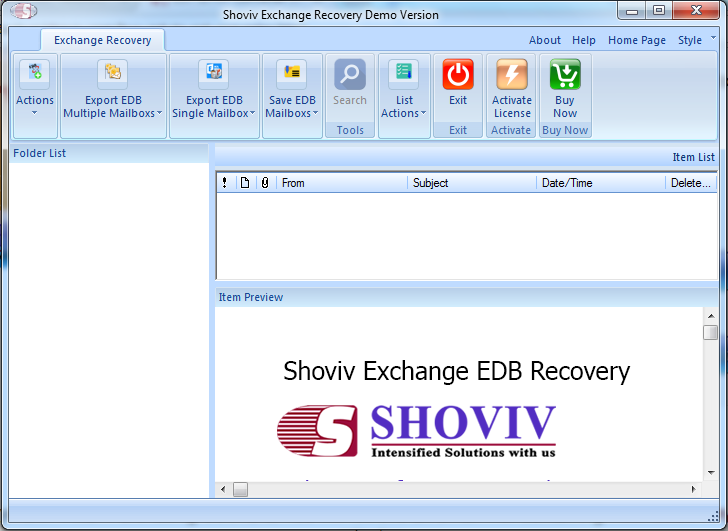 Shoviv EDB to PST Converter provides the best solution to recover corrupt EDB files, convert EDB to PST, export EDB to Office 365, live exchange Server, EML and MSG format as well. This tool is capable to work easily with large size EDB files and maintains a proper folder hierarchy accordingly. The software has very simple Graphical User Interface (GUI) which helps the users to handle this software without having any technical expertise. It has a free trial version which allows the users to understand its features and working functionality at granular level. The trial version allows to convert first 25 items per folder without having any restriction. It provides life time free technical support. Hence in case of any technical assistance required, you may opt quick assistance through various channels which is available 24*7.